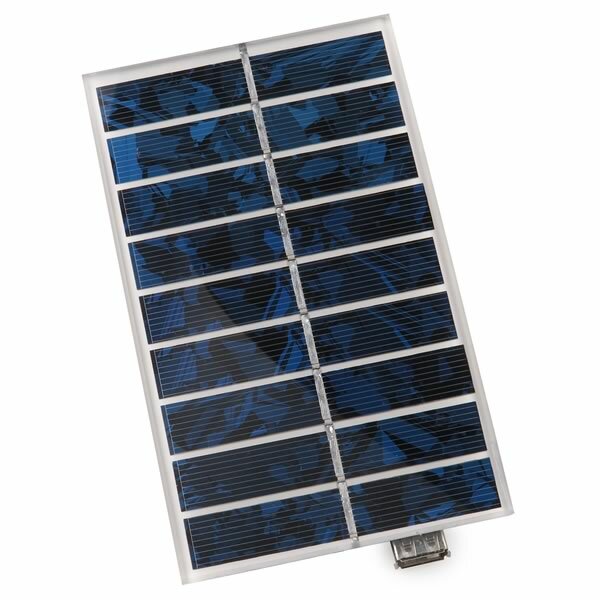 Sturdy solar panel is rated 5.5V @ 0.36Amp. This panel uses silicon solar cells and has its output leads connected to a standard female USB jack. Size of panel is 3.3" x 5.5" x 0.18" thick. These are new, tested and were prepped by the factory to be completed into our G23903 panels, however the final assembly wasn't completed. Great for charging cell phones (just use your cell phone cable), recharging batteries, electronic projects, etc. New!